After Brie Larson revealed a new Captain Marvel cover, Empire has dropped two new stills from the movie as part of their subscriber edition hitting the stands soon. 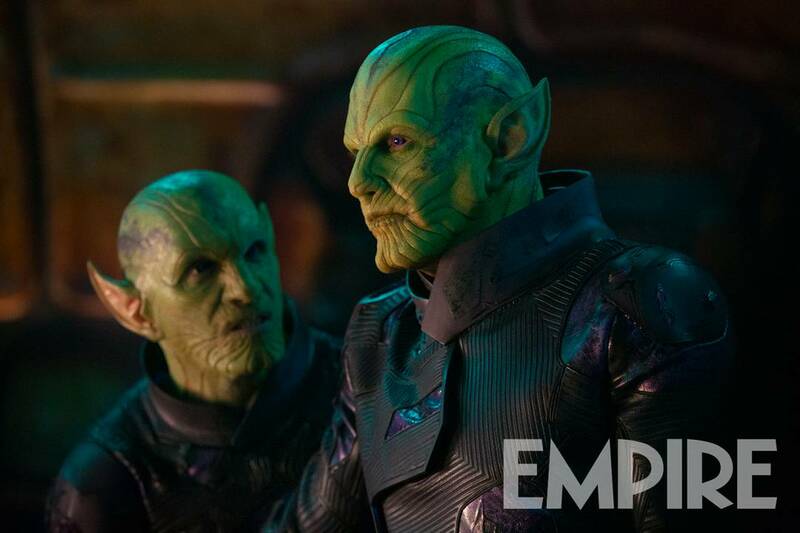 One of the stills gives a great look at Skrull leader Talos, played by Ben Mendelsohn, while the other gives a look at Jude Law’s as yet unnamed character (officially at least) as a leader of the Starforce. Both images are uploaded in high resolution below. The Skrull image is the more fascinating one as it shows the makeup employed in greater detail. Sure it’s likely that a lot of it could be touched up by digital effects but practical prosthetics, wherever used, are always welcome by the fans and appreciated by the community, mainly for the hard work that goes behind them. The Kree-Skrull war should factor in somehow and it’s probably no coincidence that both images showcase leaders from the opposite sides. Captain Marvel is set for release on March 8, 2019. Marketing is definitely going to ramp up so be sure you’re caught up with our coverage right here on Appocalypse.